You stare at a vast array of images before you, squinting to discern the detail. All appears hazy. A million people, all lined up perfectly in a row…but why? Who taught them to fall in place? Who gave the order for the replica script? As you tread carefully closer, it becomes obvious. These people are not people at all. They are merely shadows, echoes, outlines. You vow to never fade; you will not become a mere replica. The thundering fear pounds in your chest, and yet you are still. The aching pain of risk drenches you with sweat, but you do not falter. Being yourself is all you know. Being true is all that’s left. What’s that? 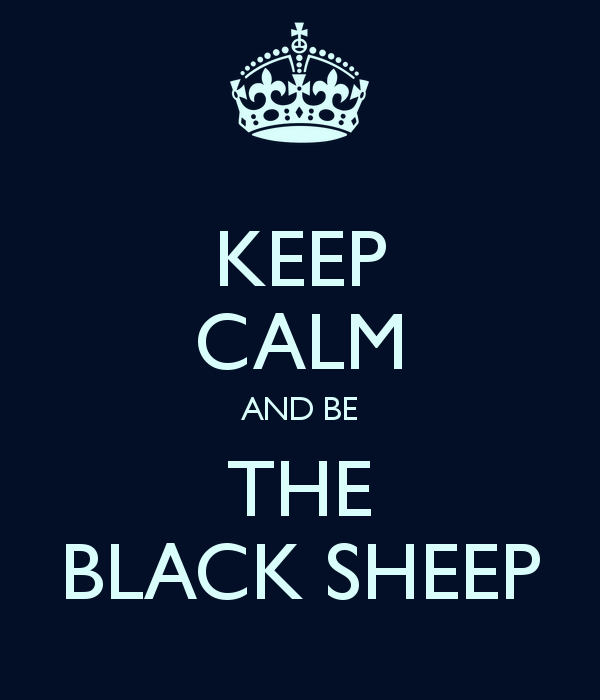 You say you’re a black sheep? I am too. Embrace your uniqueness. Love the color of your wool. Don’t wax remiss because you don’t fit into a box. Personally, the difference between then and now for me is acceptance. I accept that I am different, that I may need to stir the pot a bit, that people’s reaction to me can be full of love or full of hate but it might never be neutral. Knowing that my source orchestrates every scene of my life gives me the courage to accept the path lit by the divine. And while my own path driven by ego might need to have uniformity, perfection and everyone patting me on the back, usually the path of the divine is much more visceral and raw. The path of the divine cuts me open and in the process those around me. Being cut open is not easy. It’s RAW. But you know what? Raw is real. And I don’t know how to be fake anymore. ONE SOURCE in my life has all the power, and that source isn’t me. That source leads me beside still waters and makes my life bountiful when I just choose to bask in the divine light that connects us all. And since I am following this ONE SOURCE, being filled with love and connection and truth and beauty minute by minute, I needn’t worry about BEING DIFFERENT. 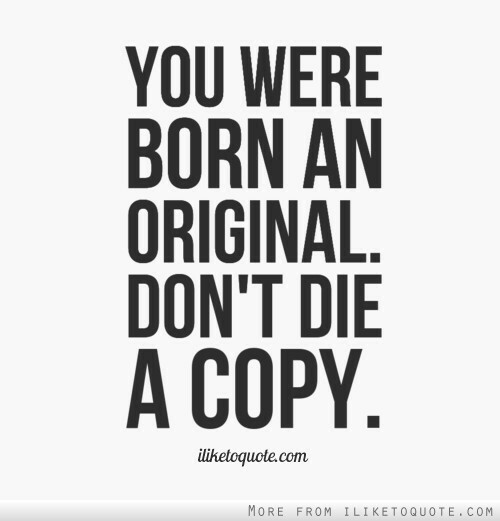 If I am BREAKING THE MOLD, then that is exactly who and what I was created to be. As I get quiet and go deep inside, I am reassured. I know in the clarity of stillness where my inspiration, passion and vocation lie. I know in the stillness who I am called to be. Although it’s usually terrifying to follow these callings, I know from experience that denying them creates for me a fate worse than death. So, fear be damned! Let’s press on in spite of our seeming limitations. Let’s follow the lit path even if it’s raw and uncomfortable. With much risk comes much reward. Join me. BREAK THE MOLD. This entry was posted in Uncategorized and tagged #2014, #authenticity, #bethechange, #betrue, #blacksheep, #carpediem, #change, #fearless, #grow, #heal, #inspiration, #justfortoday, #onelove, #recovery. Bookmark the permalink. It’s such a powerful lesson in UNITY- Unity is showing up with authenticity AND allowing others the same chance to show up in authenticity. Then we come together honestly, organically, regardless of differences because all that matters is LOVE. Yes! So so deep, ro nor only be aurhenric but to allow others the same wirh love and compassion and no judgement or feelings of inferiority or superiority, just love and acceptance dor a fellow human being. Whatba wonderful and ‘be’autiful world! YES! The 2 way street is the very best part. Thanks, B!